Sideline Chairs and Locker Room Stools for any level of sports are available with your teams custom logos from Athletic Seating. If your team or school needs the gym or locker room spruced up, get the same chairs the pro’s use…quality Clarin Chair and Stools. And get them at the place to have the finest printing quality available with our exclusive process, here at Athletic Seating. 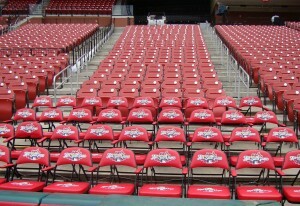 Join the growing list of many high school, college, and pro teams that have had their team seating needs fulfilled by Athletic Seating. And good luck to all the teams and schools we have the pleasure of doing business with this past year! Basketball season has started, hope teams get off to great starts and has a great year.